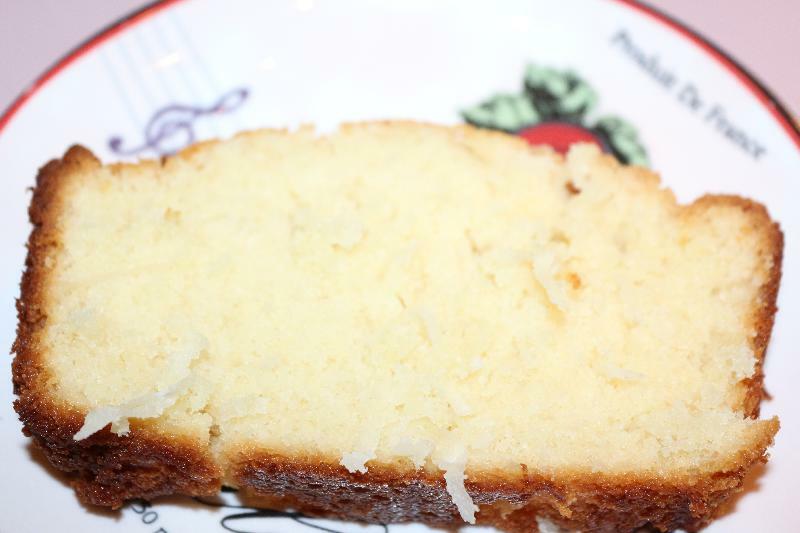 I had a lot of coconut leftover from Christmas so I decided to Google and find a recipe to use it in. This is the recipe that I found. 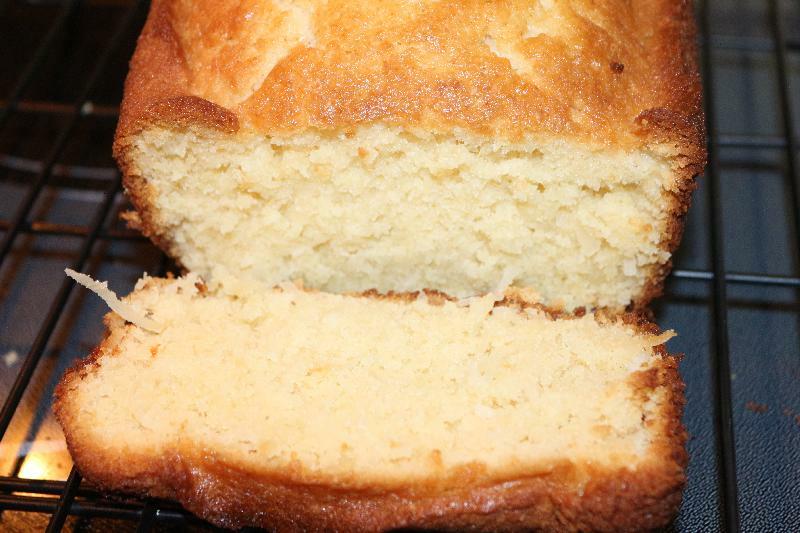 This cake has a strong flavor of almond. In a bowl combine the flour, salt and baking powder, and set aside. In a bowl of a stand mixer or hand mixer, cream the butter and sugar until light and fluffy, about 2 minutes. Next add the sweetened condensed milk and mix for only a few seconds. Then add in the dry ingredients, mixing just until the flour is mixed in (don?t over mix). Next add the eggs, one at a time. Then add the extracts and shredded coconut. Pour the batter into the prepared pan, smooth the top with a spatula. If the top of the pound cake looks like it?s browning too quickly, place a piece of foil over it for the remainder of its time in the oven. Cool in pan for about 10 minutes and then finish cooling it on a wire rack.